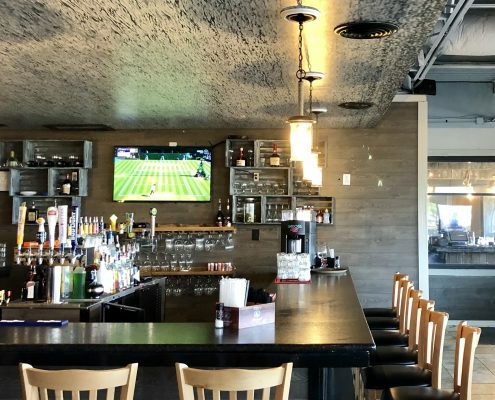 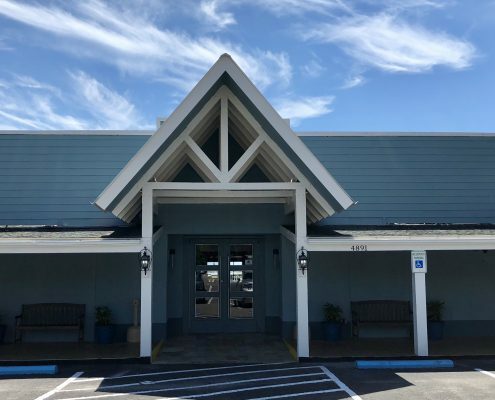 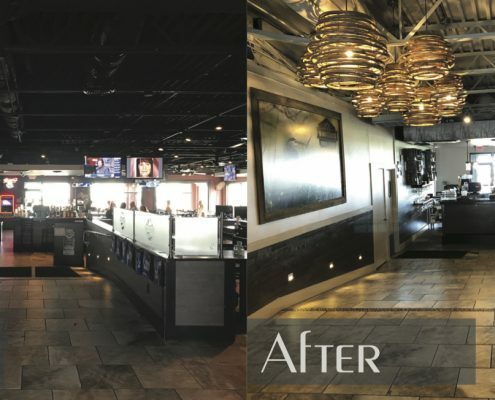 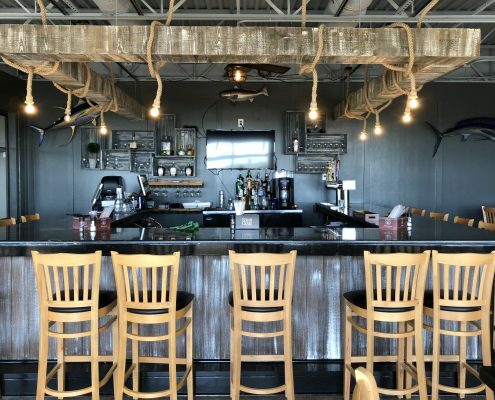 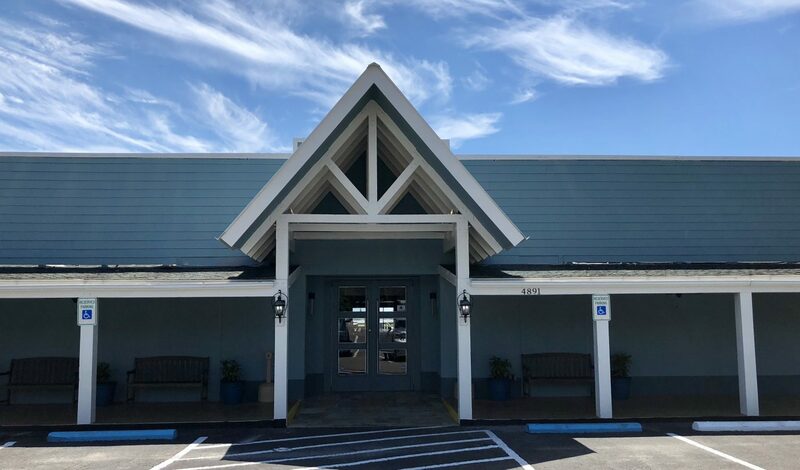 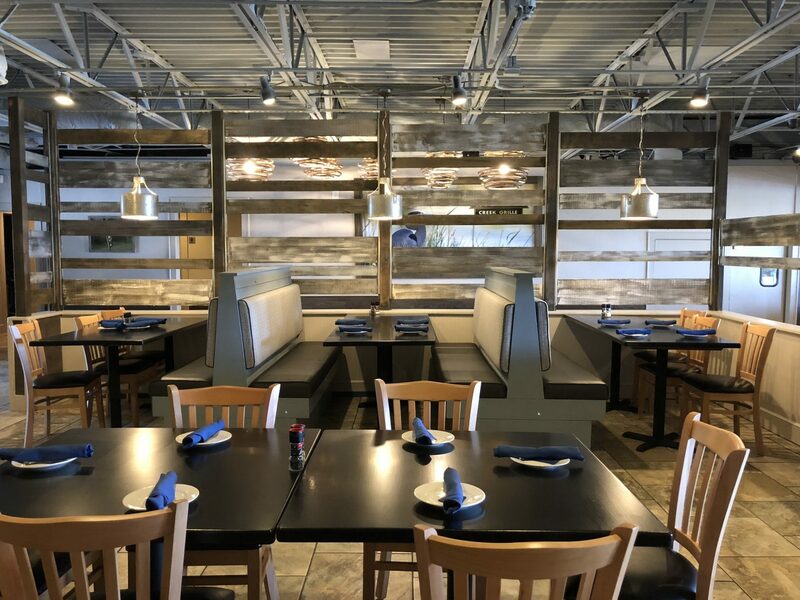 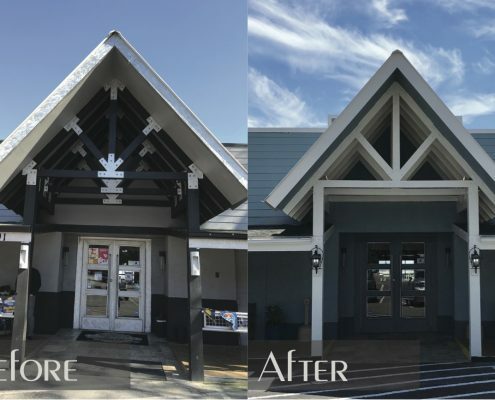 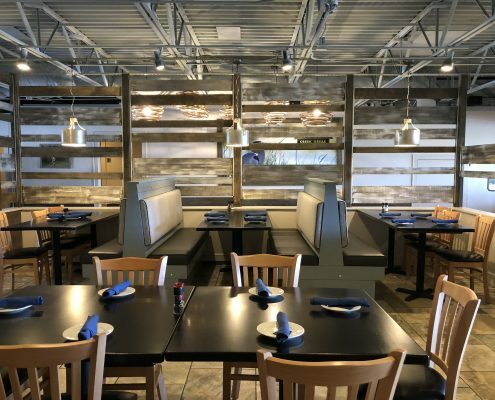 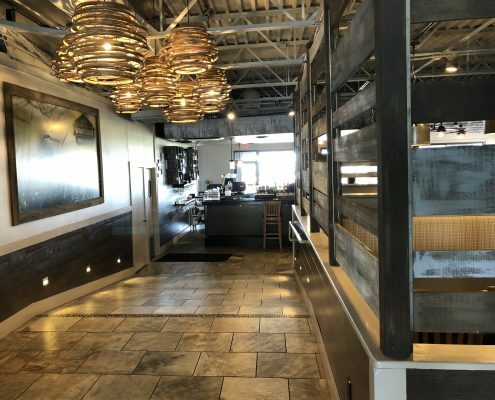 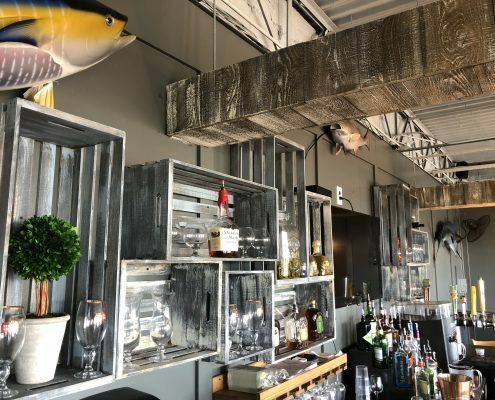 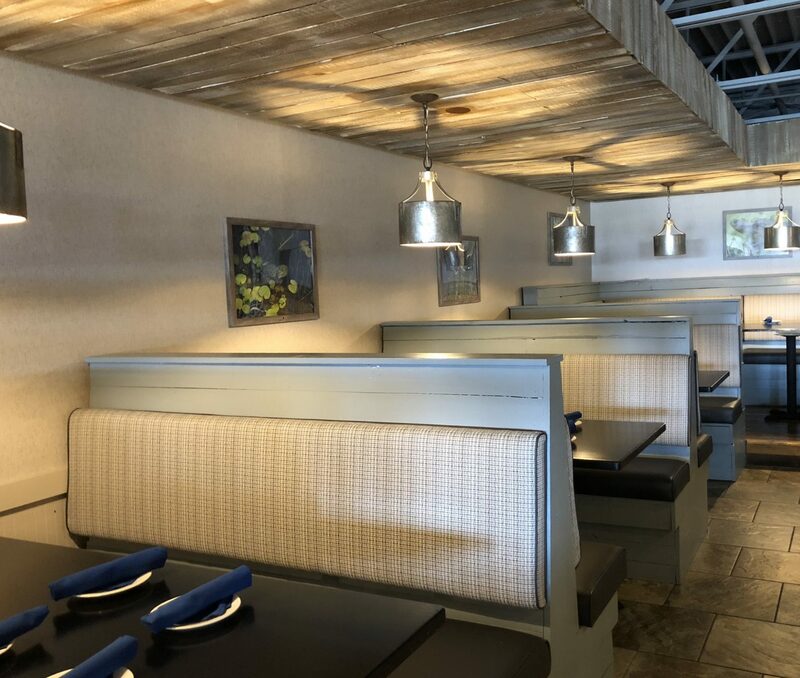 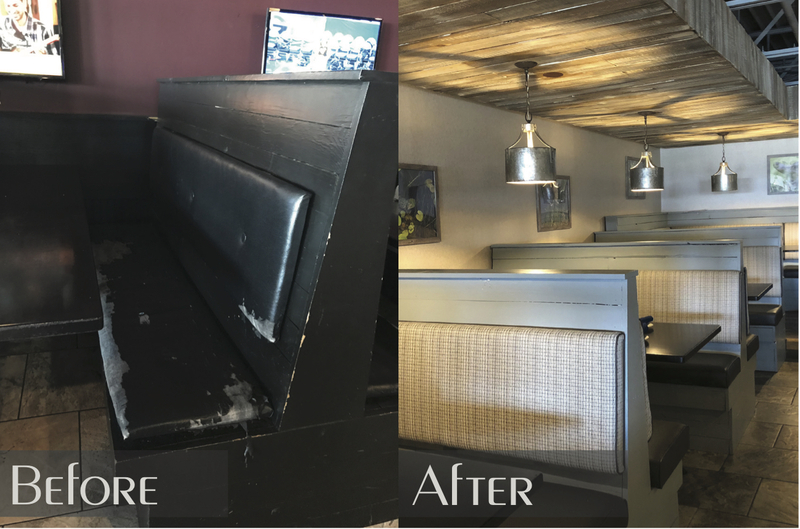 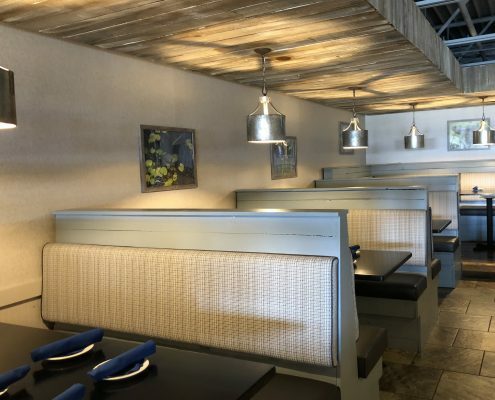 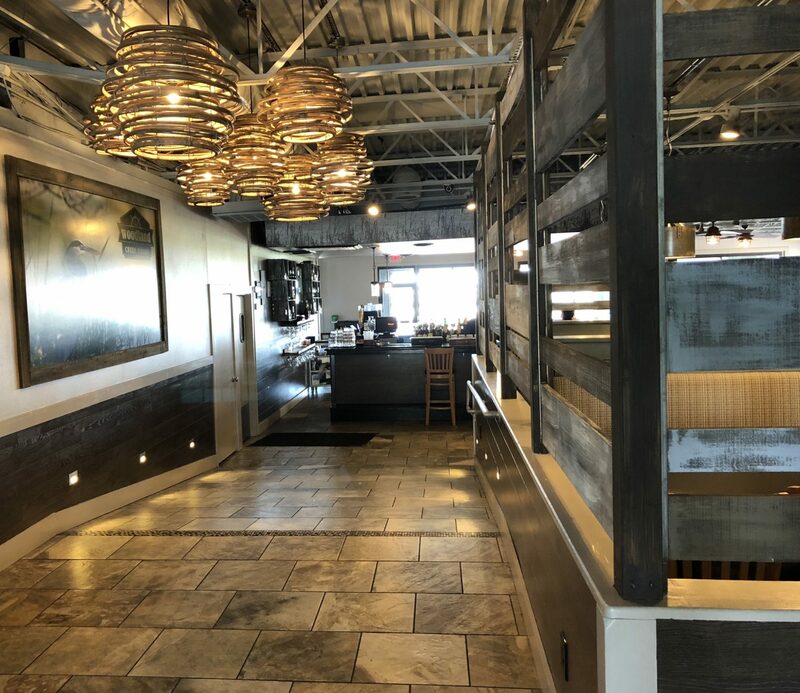 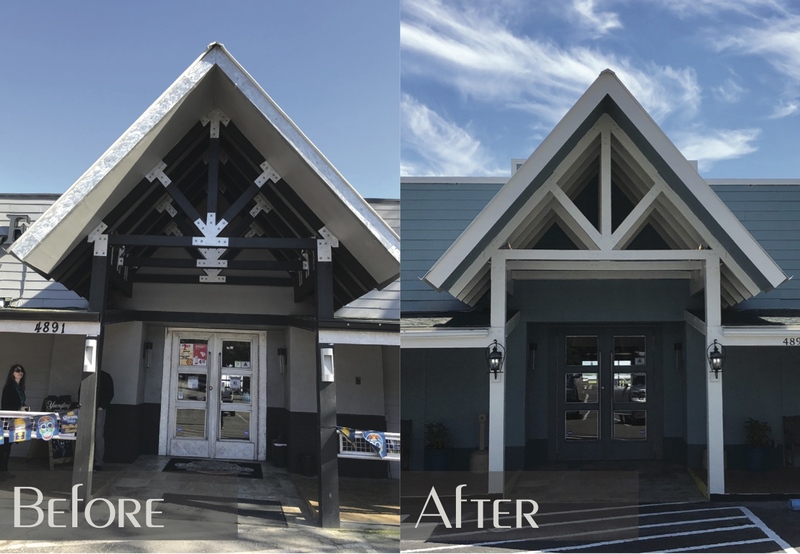 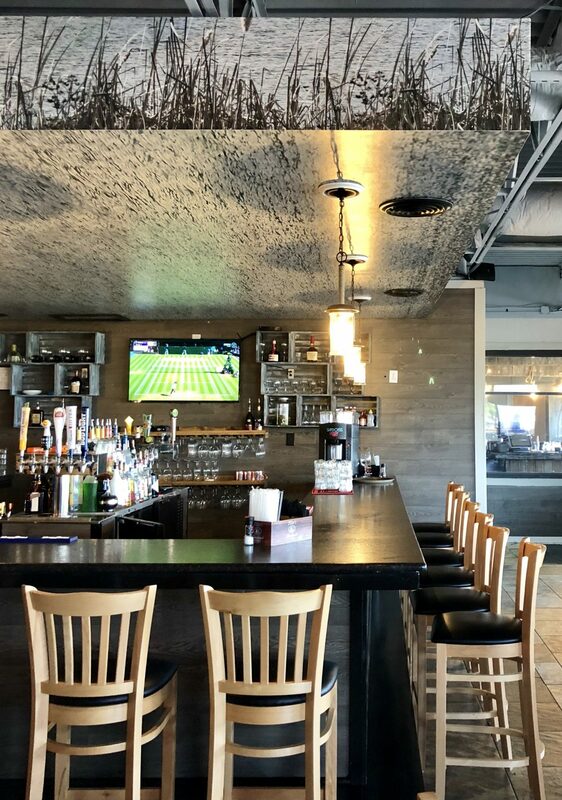 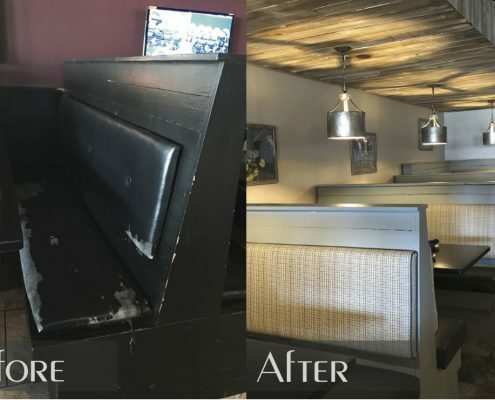 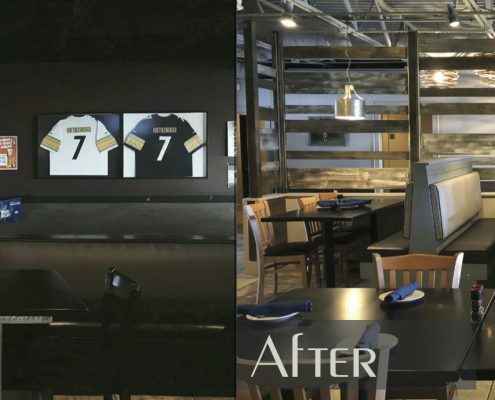 Formerly King Street Grill on the Marshwalk in Murrells Inlet, this project urged an overall transformation from an outdated and dark tavern-like style to an upscale seafood restaurant in only 6 weeks. 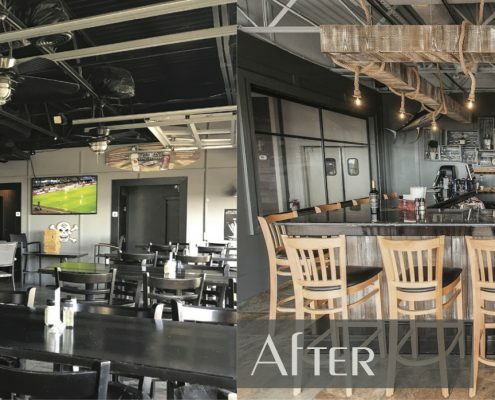 The design focus was to capitalize on the view while creating a relaxing setting. 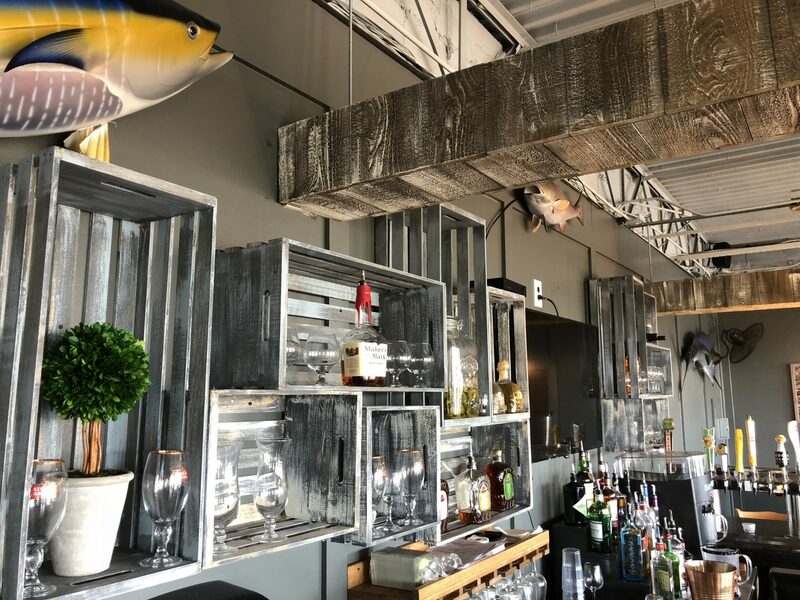 Guests are invited by the subtle-colored exterior façade to enter the interior space adorned with clusters of spiral rattan pendants and rustic wood slats. 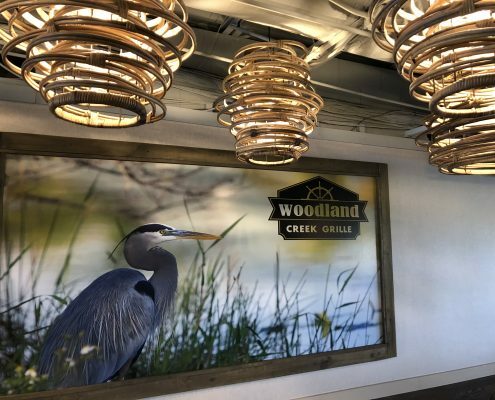 The main bar was given a larger presence by covering the overhead canopy with a marsh water and reeds graphic and new glass pendants. 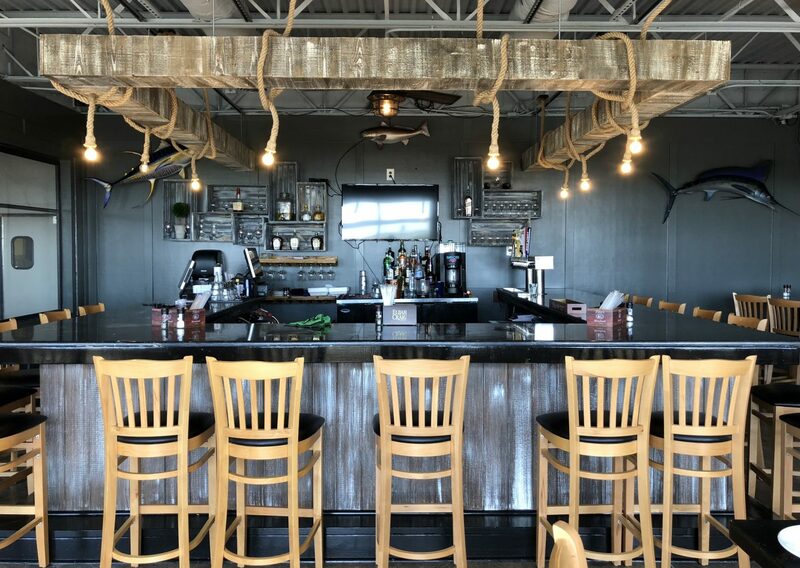 A new open canopy was added to the porch bar as well as rope lights. 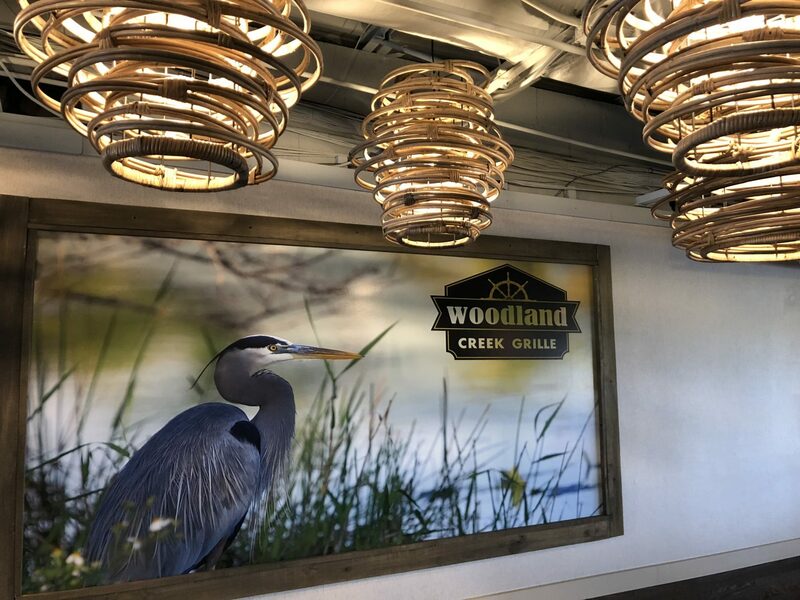 Vivid images of various creek fauna were placed at each booth to enhance the atmosphere’s feeling of relaxation.